Brooklyn by Colm Toibin is incredible. What a gorgeous bit of story telling. I'm off to work this Monday morning but I'd much rather be staying home with this book! Thanks to Book of the Month (and the recommendation of nearly every reader in the world!) 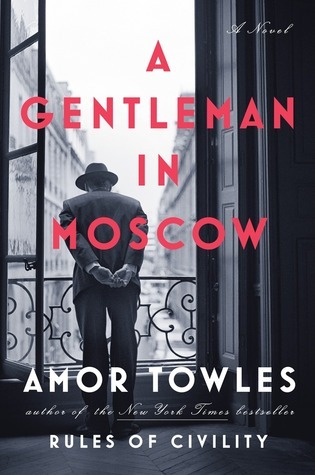 my next read will probably be A Gentleman in Moscow by Amor Towles. I've heard nothing but wonderful things and when it arrived in the mail I put it right on top of my to-be-read pile. Colm Toibin is such a great writer! I loved Brooklun. I am also eager to read A Gentleman in Moscow. First must keep at my NetGalley shelf --and rue having passed up requesting it. I'm reading Michael Chabon's Moonglow. I am really looking forward to A Gentleman in Moscow! Loved Brooklyn on audio and can't wait to read A Gentleman in Moscow - enjoy!! I am so excited to read A Gentleman in Moscow! I need to get off my fantasy kick so I can pick it up. I'm reading Ann Patchett's new "Commonwealth." Her books are each so different and this one is no exception! Everyone seems to love Gentleman in Moscow...sadly, I'm an outlier there. I liked it OK, but wasn't as over the moon as everyone else. Both of these are on my list. Enjoy! Oooo, I haven't read Brooklyn, but the movie is SO GOOD. Definitely looking forward to the new Towles, too. I haven't read Brooklyn but it does sound so very good. 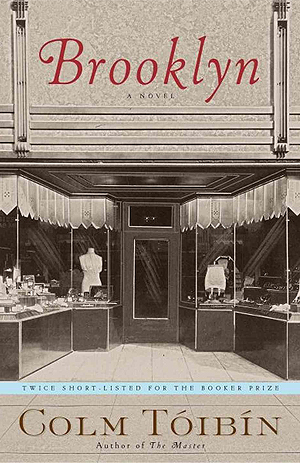 I've Brooklyn on the TBR, just not got to it yet. Glad to hear another recommendation! Two very good selections, from what I have heard. I hope you enjoy both of them! See! This is why having book friends is dangerous! I was comfortable not ever reading Colm Toibin, and then everyone's been saying how dear and lovable Brooklyn is and forcing me to rethink everything.